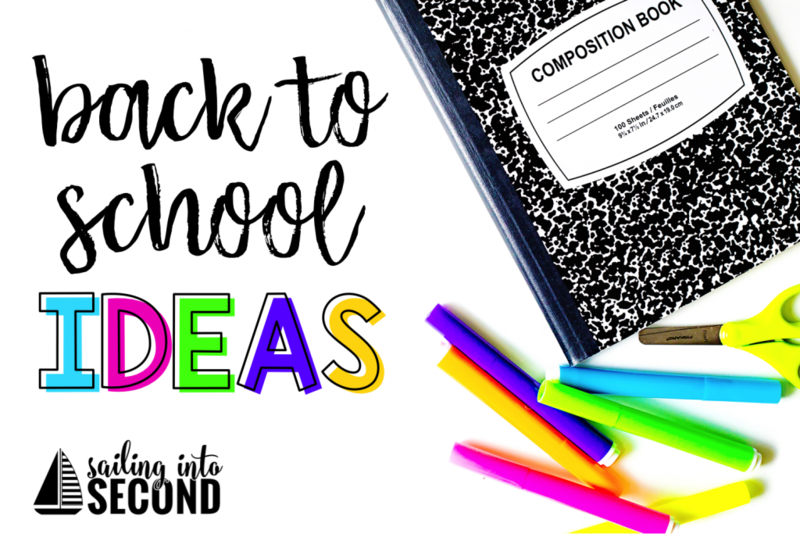 Back to school is right around the corner, but I’ve got a few ideas and organization tips for you that will help ease your BTS anxiety. The best part is, you can use these ideas in your classroom right now! I love to do some icebreakers with my students the first few days. And they enjoy the social part of getting to know me and their peers! 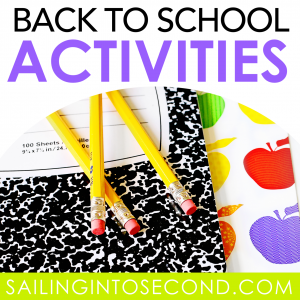 Below are a few ideas on some fun first week icebreakers you can do with your kids too! 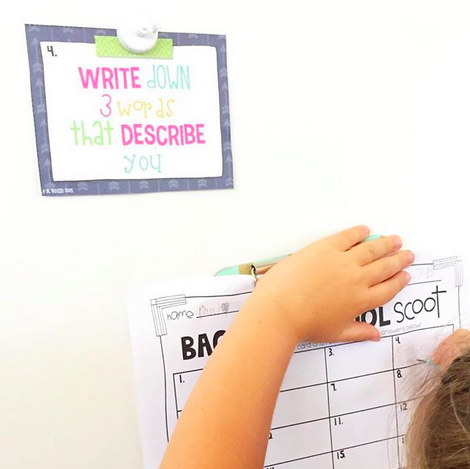 Back to School Scoots: BTS scoots are the perfect way to get your kids moving around the room while getting to know your class and make new friends! 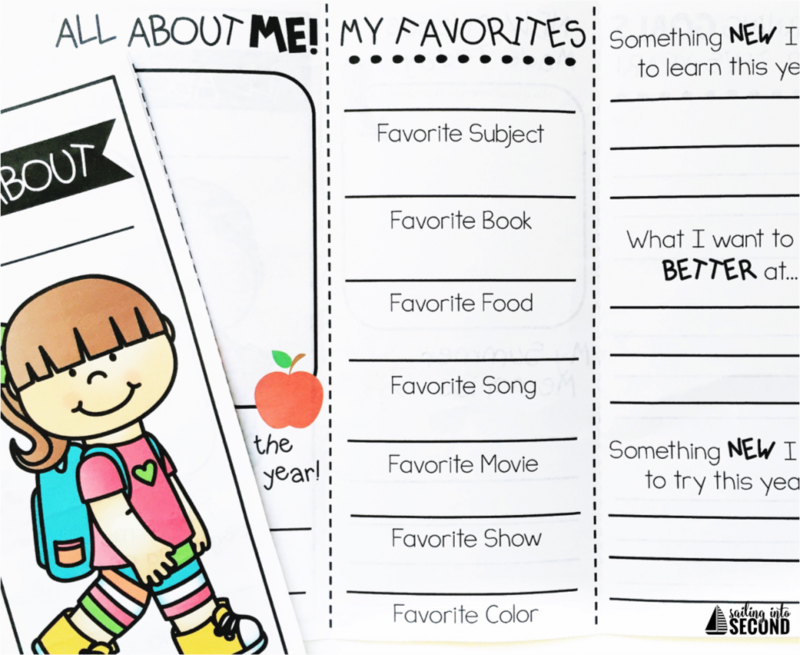 All About Me Activities: Let’s face it…kids love to tell you all about themselves and all the funs things they did over the summer! What if they could share all of that on one compact activity? I love to have my kids fill out these All About Me brochures and share them with each other! One reader suggested that the brochures could be stored in a tub where all students could come and read all about their classmates throughout the school year. LOVE that idea! Download yours for free by clicking the image above. Absent Folders: Keeping up with absent work can be a pain for students AND teachers…can I get an amen?? 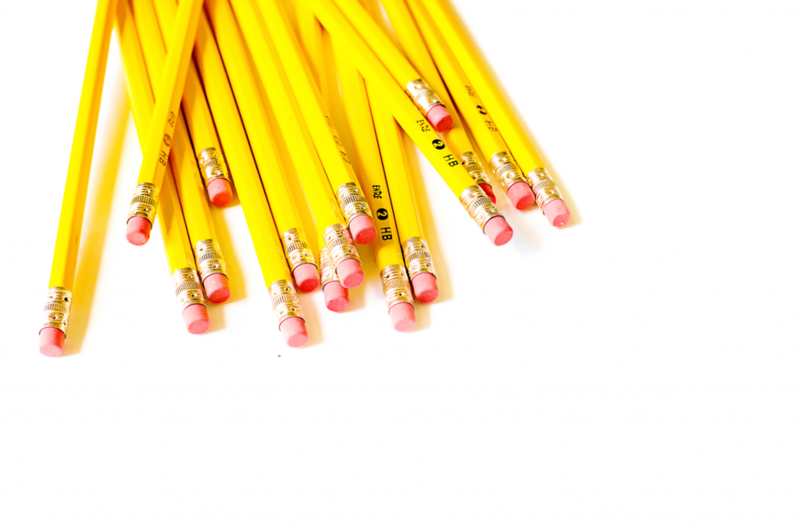 I spent my first years teaching trying to figure out a system that really worked and kept my students organized and accountable for all the missed work. That is, until I found this idea! 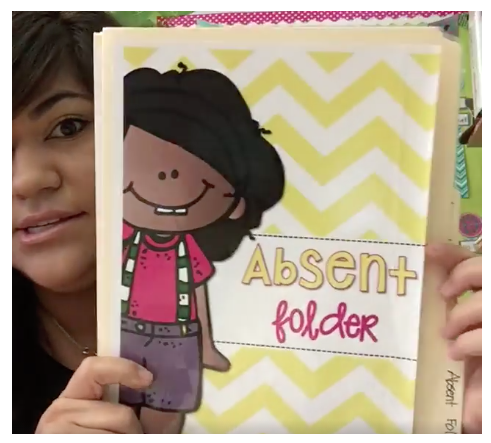 All you have to do after is simply place the absent folder on the student’s desk. Just slip their worksheets and missed work inside the folder all day long! I like to make it even MORE simple by having a student helper be in charge of passing out the folders at the beginning of the day. EASY-PEASY! When the student returns from his/her absence, they meet with me for a few mins and go over what they need to complete and how much time they have to turn it in. I usually let them have one day extra for each day they missed in class. You can grab the covers for free HERE! You can also watch the video below to check out how I use them in my classroom! 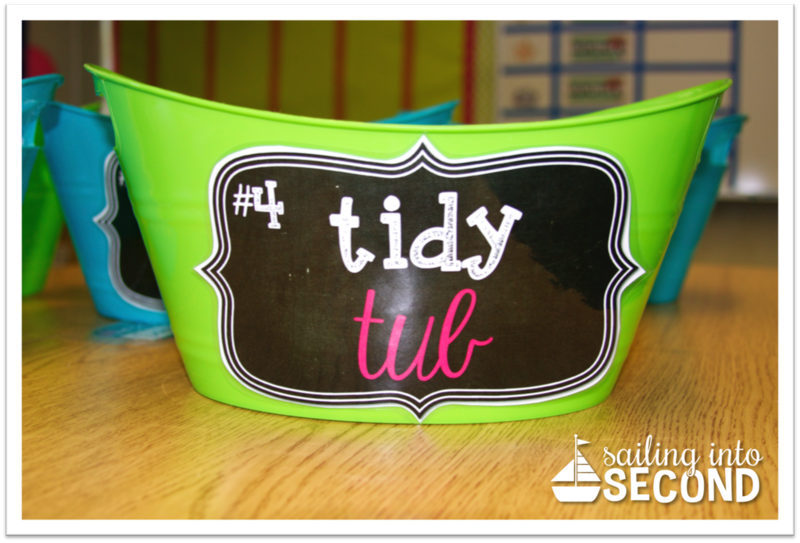 Tidy Tubs: We use interactive notebooks all the time in my class. BUT, they are messy. Drive you bonkers cause you find a gazillion little pieces of paper everywhere ALL THE TIME. I know my students do their best in “cleaning up” but sometimes they just make a bigger mess trying to carry all their little scraps to our big recycling bin in the classroom. So here is my solution to the paper mess. Create a tidy tub for each table so students can throw away their trash as they work and one person can walk the tub to our recycling bin! It’s a win-win. You can download the tidy tub labels for free HERE. 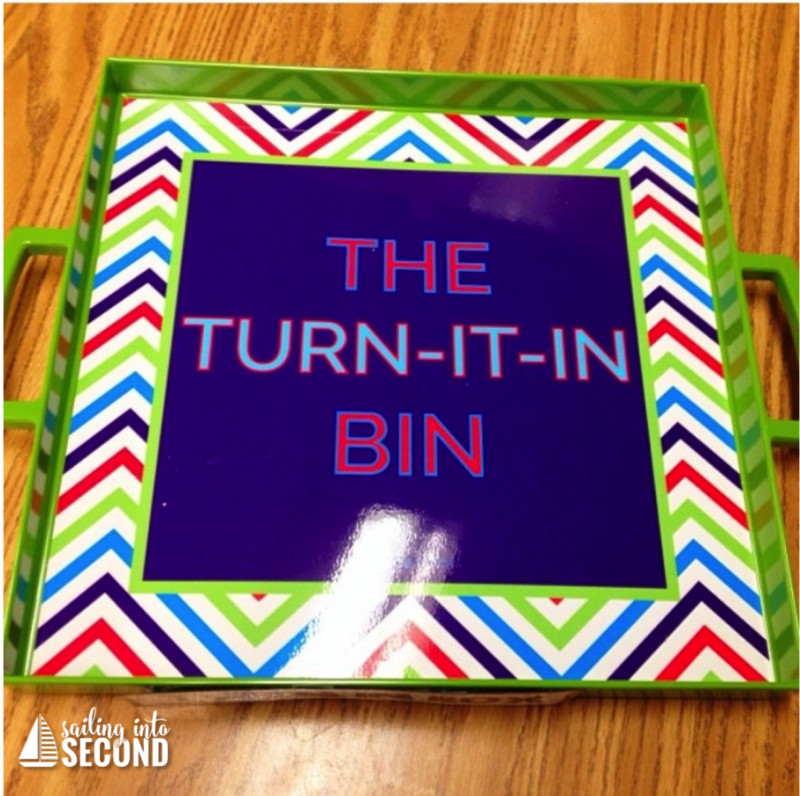 Turn in Bin: Do you ever find yourself repeating over and over where to turn things in? Yes, that was me too! That is, until I added this to my classroom! This is the ONE and ONLY place students turn in their paperwork. Digital work goes straight to Google Classroom! No more questions about where things get turned in…its easy! Put it in the TURN IN BIN! You can easily replicate this idea with any tub or bin. Google Forms for Parent Information: Google Forms are a quick way to create an online survey. The responses are then collected in an online spreadsheet (Google Sheets). Teachers can use Forms gather important BTS information from parents. No more paper forms that can get lost in the shuffle. I like to send out questionnaires (on Forms) at BTSN for parents to share their emails/phone numbers/etc and make it easy for me to have them all in one place without having to transfer their data from a paper sign up sheet. I’m trying really hard to have a paperless classroom! Simply have your parents use the link you provide for the Google Form at BTSN or on your welcome letter. They’ll use the link to answer all your questions and their responses will be added to an Excel sheet (AKA Google Sheet). Are you ready to create your own Google Form? You can get a tutorial or Google Forms HERE. Volunteer Pins: These are such an easy little organizational tool to use with my classroom volunteers! I just pin these onto my master copy and done! All the directions needed are right on the clothes pin. No post-its or pieces of paper with directions are necessary. And the best part is that they are reusable and last ALL YEAR LONG! I even write my copy code on the back of the clothespin so they have it on hand. My volunteers are happy, and so am I. 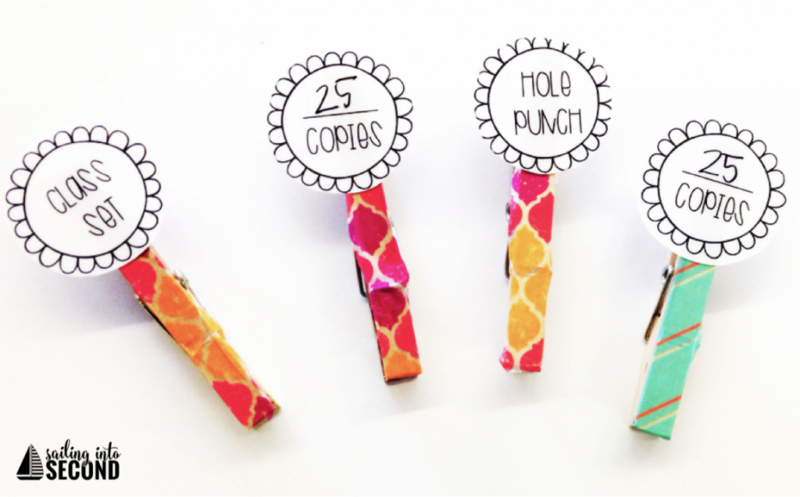 You can grab these labels for free from my sweet friend Miss Kindergarten. I hope these back to school tips have made your life a little easier. 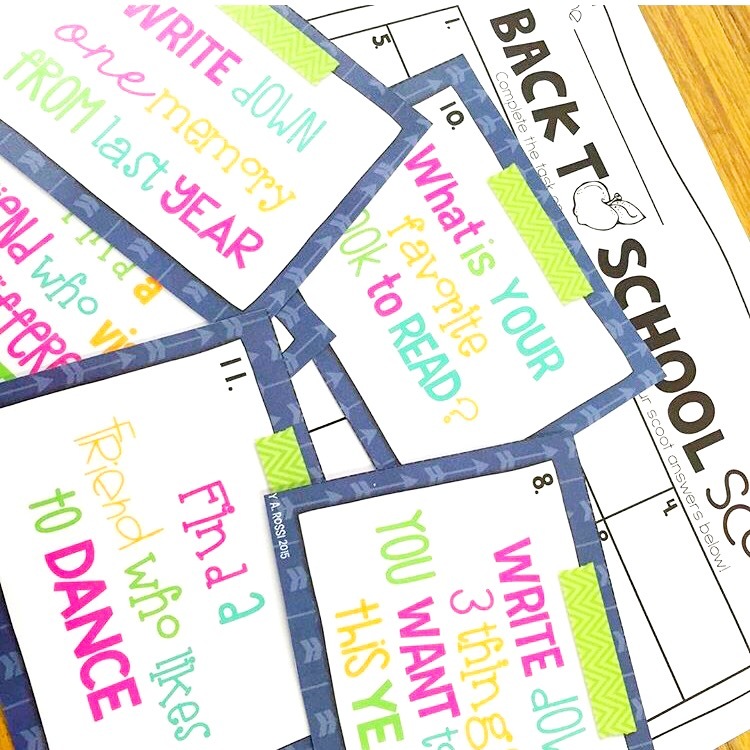 What I love most about these BTS tips is that you can take these and use them in your classroom today. Easy and FREE!